The collective dreams and prayers of attendees at the 1000 Lights Water Lantern Festival float across the water just after sunset in San Diego. 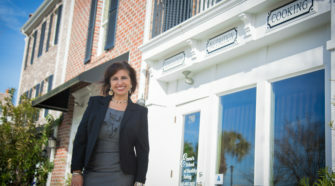 The festival was held on November 3, 2018. 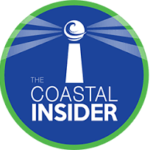 The 1000 Lights Water Lantern Festival is coming to Myrtle Beach for the first time this month. 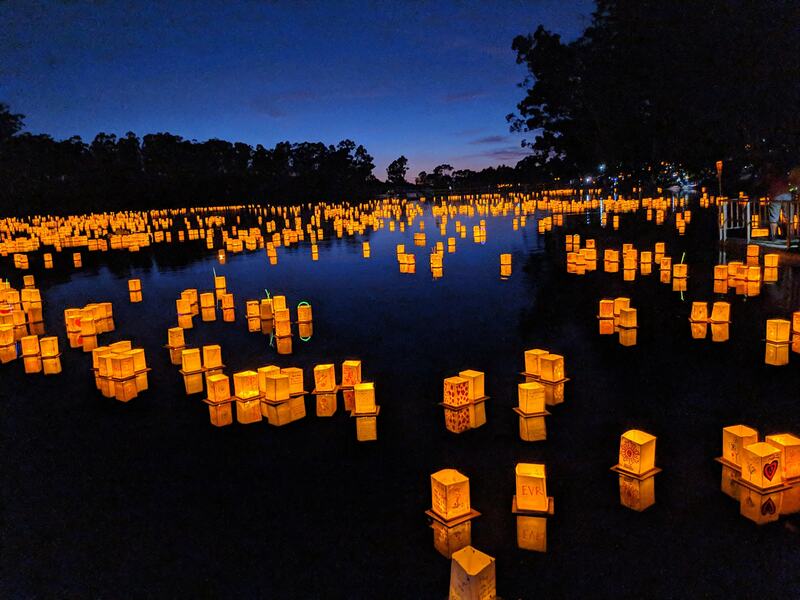 Attendees will gather together at Grand Park in the Market Common to enjoy music and food, and collectively send off their hopes, dreams, and prayers across the lake via lit floating water lanterns. The company in charge of the festival was founded and is jointly owned by Zach Wertz, Nick Menendez, and Andrew Kenney; it’s based out of Salt Lake City, Utah. 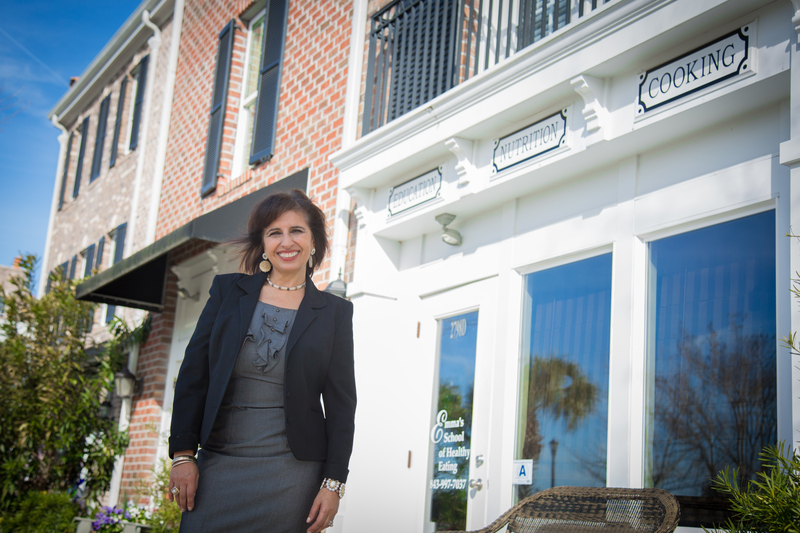 The three began formulating their plans last July and held their first events in September. 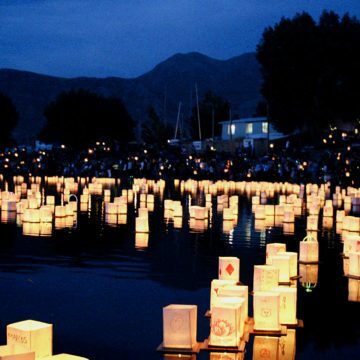 1000 Lights holds water lantern festivals around the country. Last year they put on four events, and this year, they anticipate hosting between thirty and forty. To date, they’ve spread the magic and light of their festival in San Diego, CA; Newport, CA; St. Petersburg FL; Savannah, GA; Tempe, AZ; and Lindon, UT. This year they’re adding the Bay area of California; Philadelphia; Syracuse, NY; Cincinnati, OH; Boise, ID; and Toledo, OH to their list of annual stops. Attendees decorate their lanterns with markers and stencils before launching them across the water. Here, lanterns from the festival in Lindon, Utah, last September. The 1000 Lights Water Lantern Festival has food, vendors, and live music, usually performed by local artists; they also have high stakes bingo with prizes like TVs and tablets. But the main part of the event is the lantern launch. When people arrive, they receive a lantern packet. 1000 Lights is conscious of the environment and creates their lanterns from sustainable and reusable materials. The base is made from bamboo, and the top is made from rice paper; they are completely biodegradable. Instead of candles, they are lit with LED lights which they reuse from one festival to the next. They create a buoy line for the lanterns to collect them all at the end, with the intention of leaving the area better than when they found it. This is the first time a festival like this has arrived in Myrtle Beach. “We think Myrtle Beach is a really pretty area,” Andrew says, in speaking about what made them choose to add our city to their list of stops. “I’ve never seen it, and I’m really looking forward to our time there. We’re all excited to come, and will be bringing other staff members too. The 1000 Light team selects locations based on the availability of places that have the infrastructure to support the festival— like a stage for entertainment, and a body of water where the lanterns can be contained— usually a large pond or smaller lake. The festival draws crowds of 1,500 to 4,000 people. “People have really been enjoying the festival,” Andrew says. “That’s one of the most rewarding parts of this. When you see people, and they share their stories about why they’re here— it’s so moving. At the end, people thank us for what we’re doing, and tell us how much this experience has touched them, and how much they’ve enjoyed it. 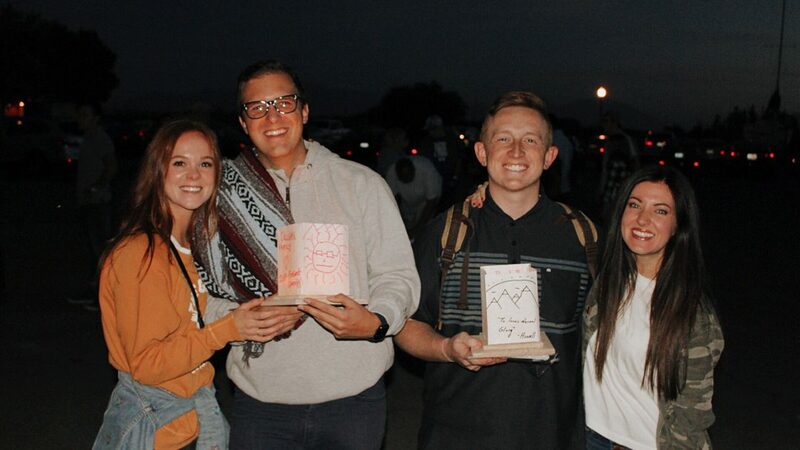 Festival-goers pose for the camera with their lanterns at the Lindon, Utah event, September 2018. 1st Annual 1000 Lights Water Lantern Festival, Grand Park in the Market Common, Crabtree Lane, Myrtle Beach, SC, 29577. Saturday, April 13, 5:30pm — 8:30pm. Advanced tickets required. No ticket sales at the gate. Purchase at www.1000lights.com/myrtlebeach or Facebook @ 1000 Lights Water Lantern Festival Myrtle Beach. $29 for adults; $13 for children 9-13; free under 9.